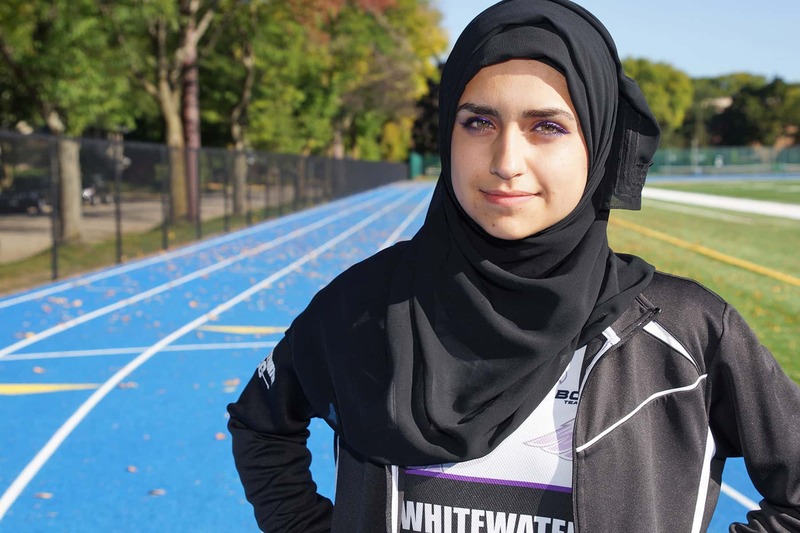 A graduate of Milwaukee’s Salam School and current University of Wisconsin-Whitewater freshman, Hanan Ali is the first student on her women’s cross country team to compete while wearing a hijab. The sport appeals to Ali’s drive for self-improvement, and desire to help other Muslim youth in the community reach for dreams they have never considered, and achieve them. Born and raised in Milwaukee to Syrian parents, Ali’s life has been nurtured by a close community and exposure to cultural diversity. Between her passion for distance running and environmental protection, she represents the opportunities available with hard work and the reward that comes from push through traditional boundaries. 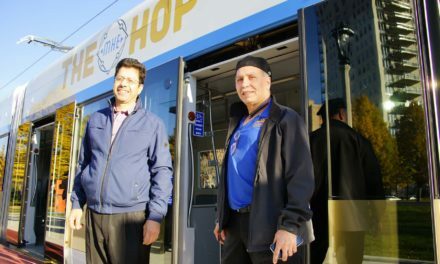 Wisconsin Muslim Journal: What was your experience like growing up in Milwaukee? And why did you choose a private school for your education? 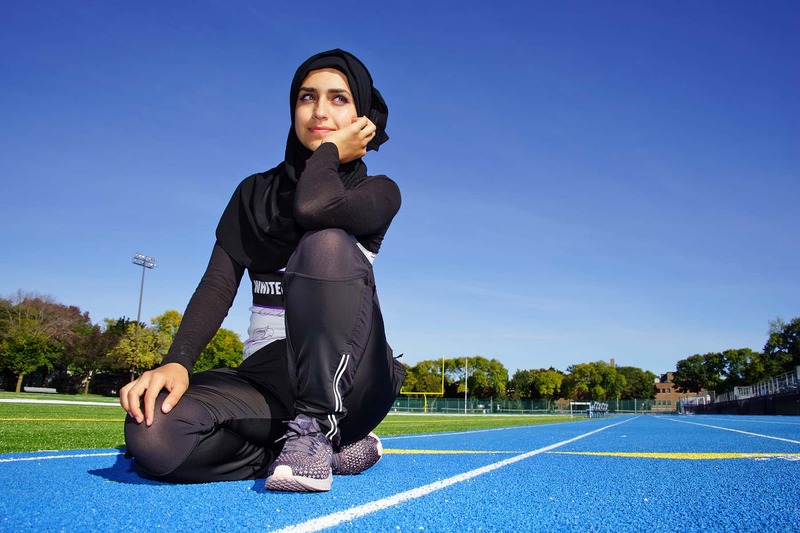 Hanan Ali: Growing up in Milwaukee, I have always surrounded myself with lots of different people from all sorts of religions and backgrounds. The best advantage I feel like I have from being raised in Milwaukee is having that ability to be able to openly communicate with people of many backgrounds. This played an important part in my transition into college as I had the experience I needed to communicate with other people from different backgrounds while still keeping a hold on my own identity. 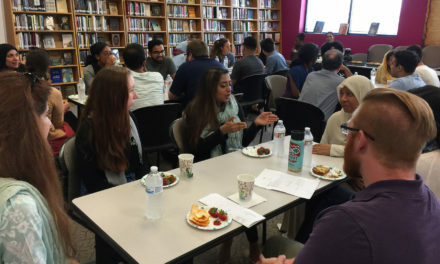 Even while being in a small, private school such as Salam School, I would still be exposed to people of different backgrounds because I lived in Milwaukee. In Salam School, the teachers and the whole community acts as one ummah (community), they are like my close family, and helped to establish my identity as I grew up. This in turn helped me stick to what I believe in all the way, and to be proud of who I am not only in my religion but also in my own abilities. A private school gave me the stability I needed in my life, which most of the time is hectic and rushed. 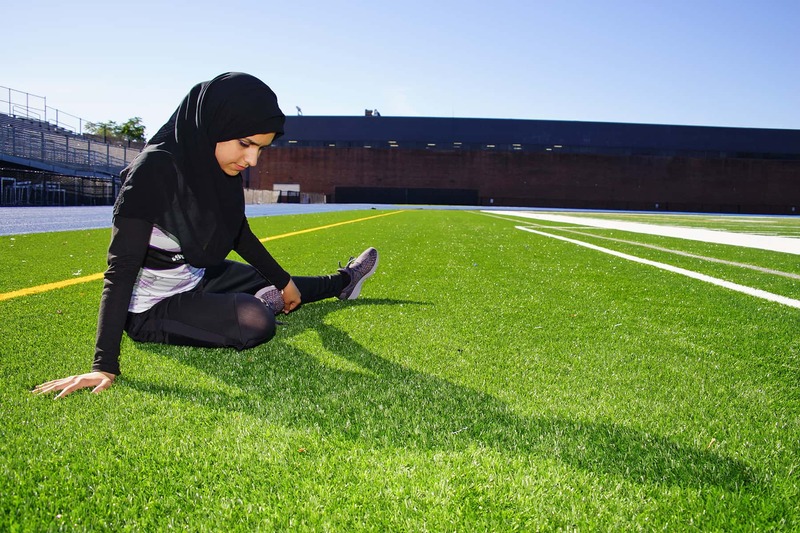 Wisconsin Muslim Journal: How did you become involved with athletic programs in school, and why did sports interest you? 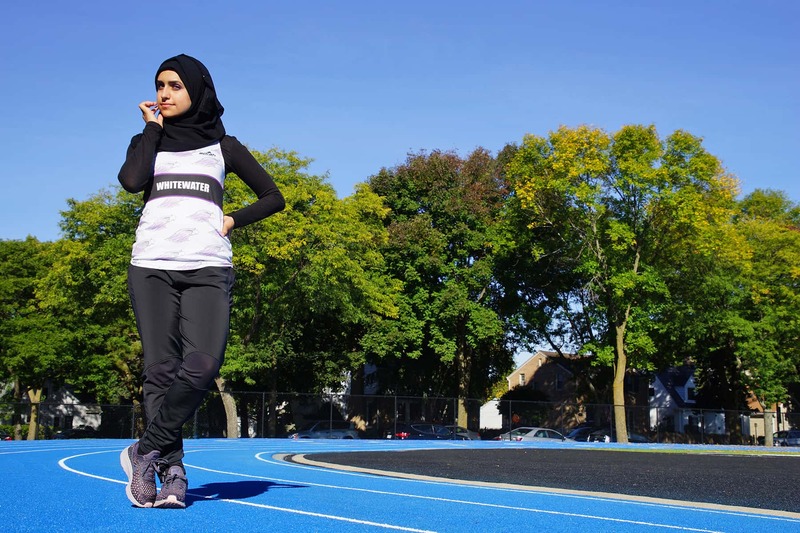 Hanan Ali: My current involvement in sports has not always been the case. In fact, most of my earlier years I hated organized types of physical activities. I never even knew much, if anything, about distance racing. My physical activities as a child had always been just going outside and random movement to expel some energy. I was convinced to join cross country in 10th grade by my much respected coach, Mr. Petrick. At first, I did not see myself being even slightly interested in competition, as I spent years mocking the fact people compete in organized activities. So, in that year I brushed it off. However, since he had brought it up, I became curious about cross country running. I watched the girls run, and started to run as well for fun on my own. Sometimes I passed by the cross country girls on their practice days, watched them as they put in the effort but also had their share of fun during the runs. One of the girls, Aamna Javed, pulled me beside her and gave me tips for running even though I was not really on the team. She did not really know at the time, and she probably does not know now, but she was a great inspiration to me during that year. Which is why that following year I joined. I put lots of effort into running, and it was the biggest pain. But it felt like the biggest fulfillment in my life. Distance running is the sport that whatever work you put into it, you will see the results in front of your eyes, and that is what made me fall in love with it. 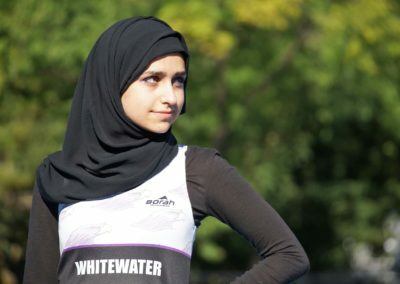 Wisconsin Muslim Journal: What is your family background, and how did that support your participation in cross country competitions? Hanan Ali: My father, Abedbari Ali and my mother Assmae Ziensabtou are both from Syria. I on the other hand, was born and raised in Wisconsin. The fact that I am Arab makes me stand out more in competitions, however I do not let that fact make me believe I should be putting any less effort than everyone else in my races. My parents help me continue to strive to be the best runner I can. I feel like the more I do, the more I am proving something to them. I hope to also, Inshallah (God willing), start working on running marathons in the near future and begin to inspire more people to run! 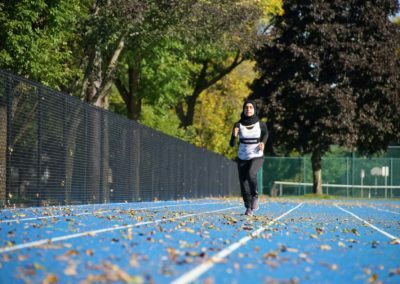 Wisconsin Muslim Journal: What has been the biggest obstacle as a female athlete, and as a Muslim athlete? 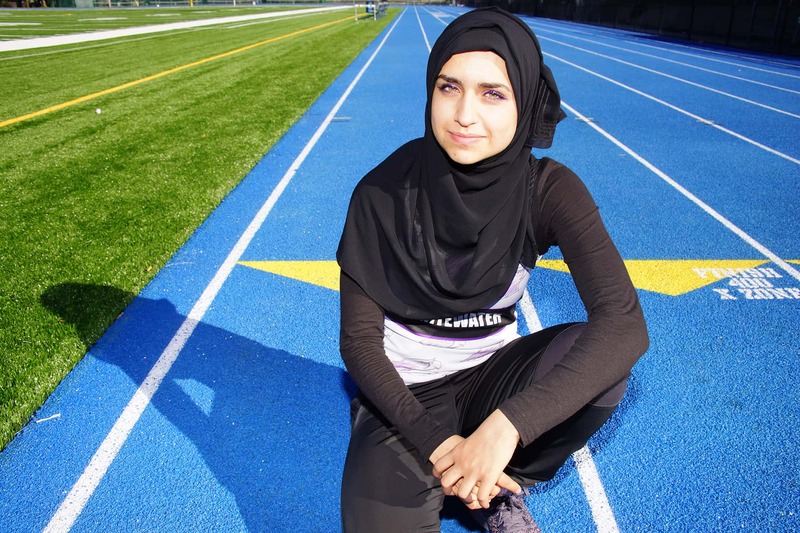 Hanan Ali: The biggest obstacle I sometimes feel as a Muslim athlete is the feeling of not being confident in my own abilities. As much as I love attention, sometimes I feel like I grab too much of it. 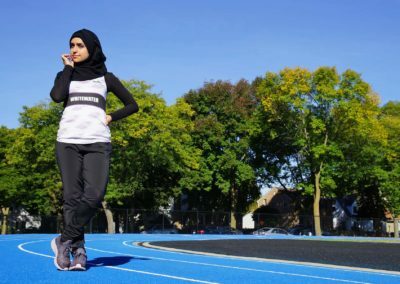 Rather than being recognized as just a “Muslim runner,” I also would like to be recognized for how much I improved in running time. However, I do not let it stop me in any way. I make this a sort of motivation for me to work harder in order to prove to people I am not only on the team because of my scarf, but because of all the running I did in order to get to that stage. I am there on the team running in order to represent my family, my hard work, and most importantly my Islamic faith. All of that is worth it to me. 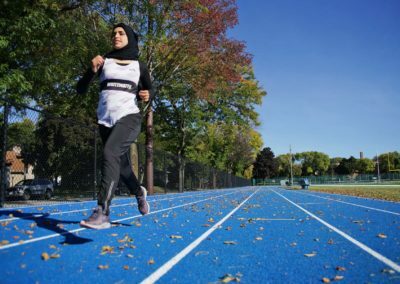 Wisconsin Muslim Journal: Are you the first woman to compete in college sports wearing a hijab in Wisconsin? Hanan Ali: I do not have physical proof, but I do not believe so. 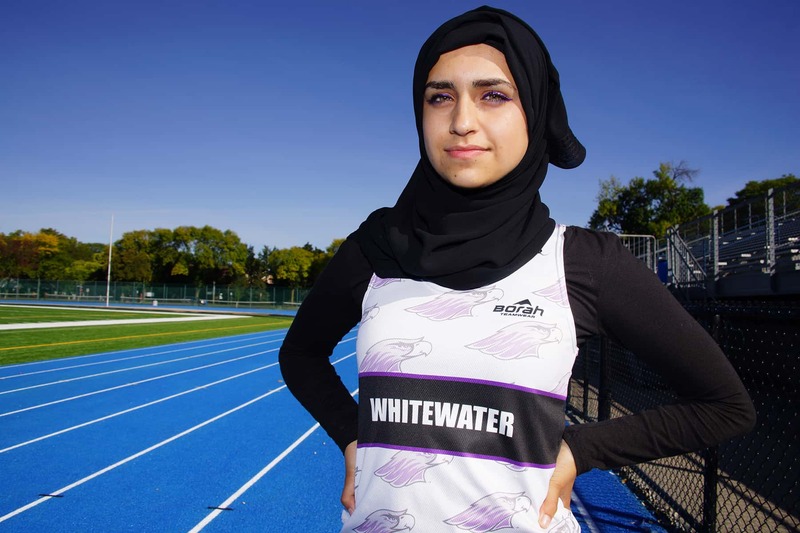 From what I am seeing in my college races, I could not find another Muslimah (Muslim female) with a hijab on any of the teams. However, I certainly doubt that is the case in all college sports in Wisconsin. There may be some that I have never heard of or have not met yet, due to only being in cross country. 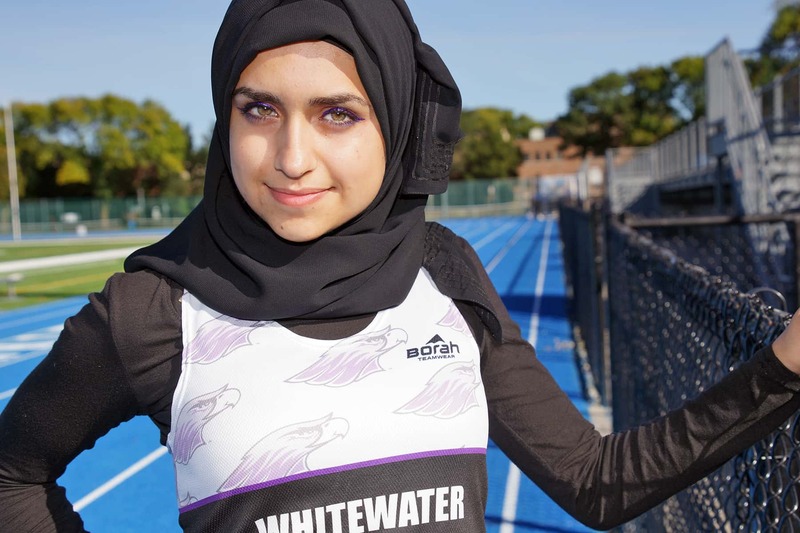 If I ever do meet someone else in a college sport in Wisconsin with a hijab on, I would certainly try to get to know them! College level sports are on another level compared to high school, for sure. The competition is far greater, and the people involved in a sport truly stay committed. 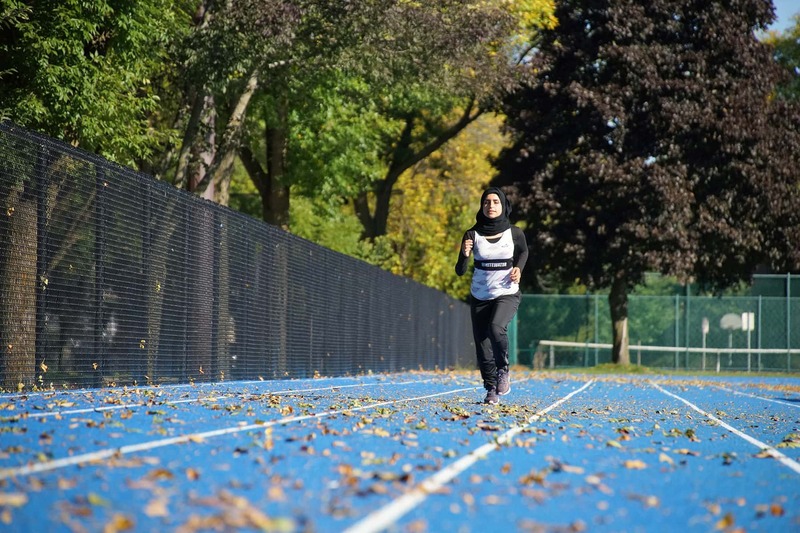 I am no longer running with my Salam School team, however I sometimes feel like I am not running alone – even when I am the the only female in hijab in my current races. 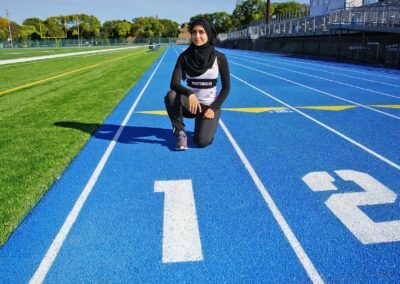 Wisconsin Muslim Journal: How do you feel when an athlete like Ibtihaj Muhammad becomes known as the first Muslim American woman to wear a hijab while competing for the United States in the Olympics? 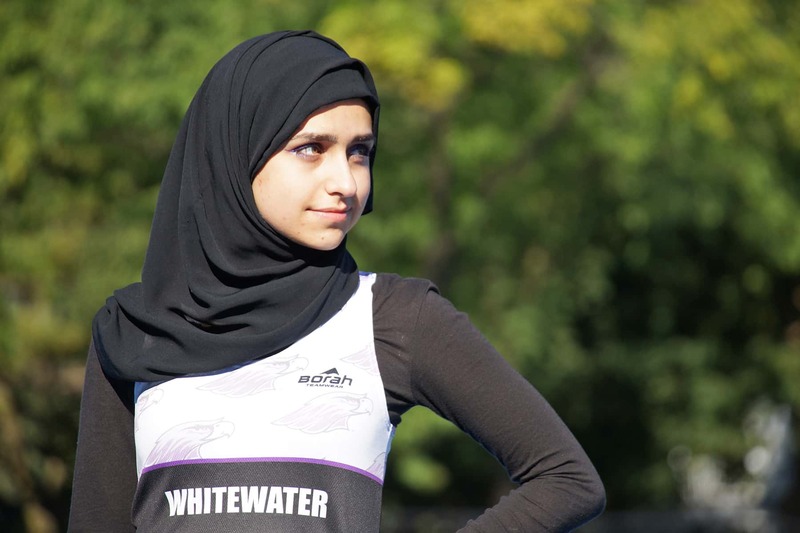 Hanan Ali: She truly is an inspiration. 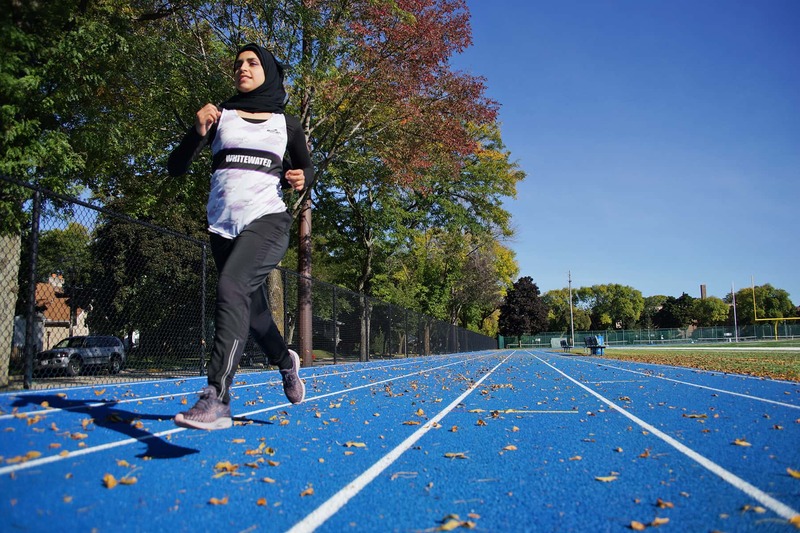 She is living proof that Muslim women should not follow the non-existent boundaries that they create for themselves, when it comes to being physically healthy and strong. She enjoys the drive and competition when it comes to sports, and that is what inspires me the most. The fact that she can brush off anyone that tells her she can’t do what she is doing is enough to inspire any little girl, not only Muslims. Even though we both play different sports, and she is of a much higher level than me with what she does, I can relate to her on certain levels. I understand her drive to break a social norm and the feeling of wanting to work harder for a goal. She is a good representative and a great role model for the Muslim community, and I strive to hopefully do the same thing on a smaller scale. 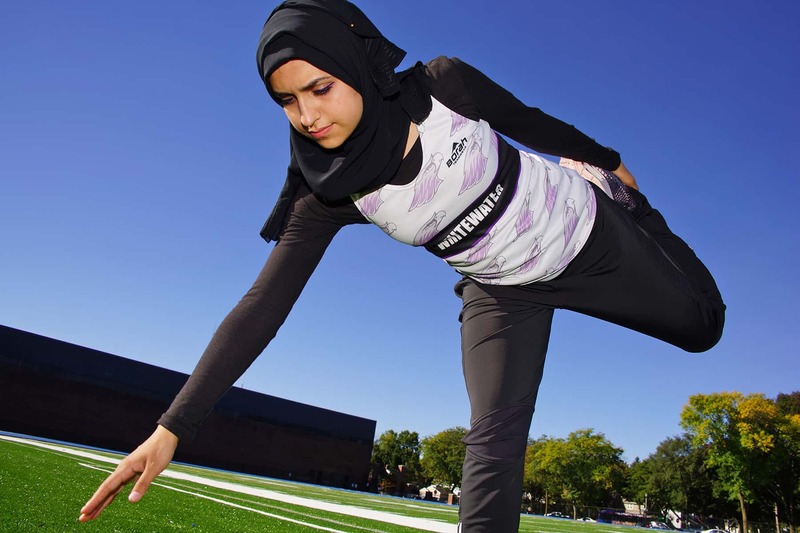 Wisconsin Muslim Journal: Do you think other women do not compete in Wisconsin college sports because of the social complexities in wearing a hijab? 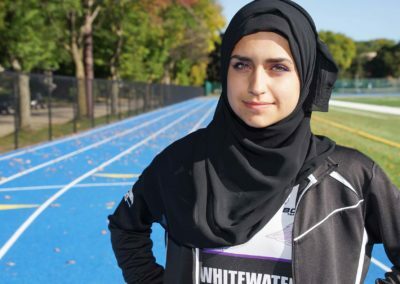 Hanan Ali: I feel like other women in hijab may have this social pressure on them, yes. However it does not end there. 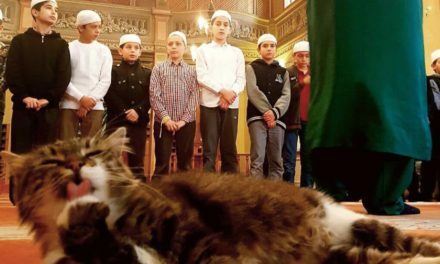 Wisconsin Muslim Journal: What message do you hope young Muslim girls get from seeing your example? Hanan Ali: I hope to inspire young girls to think about trying new things that challenge their stereotypes. I found running to be an enjoyable and very essential thing in my own life, and I know everyone should find a passion they enjoy that is other than school work. 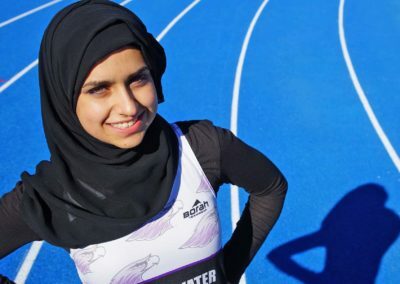 I would like to see more Muslim females not only in distance running, but also in golf, tennis, and other college sports. As for my example, I just represent one small avenue a Muslim girl can take, there are plenty of other options I wish I had explored in my earlier years. Running to me is not merely a competition, but also self-improvement. It drives me to push myself harder not only in sports, but also to become a well-rounded person. It instills a discipline that school work alone cannot teach. I hope that young girls can learn to not be afraid to try new things, start a new passion in their lives that they can focus on. It will make them more than just a degree. Sometimes it feels like the Muslim community, and people in general, look down or brush off athleticism, especially in younger girls. Push through those boundaries and look at examples of great, strong Muslim women. Wisconsin Muslim Journal: With a major in environmental science, what kind of career would you like to have after you graduate? How do you currently manage academics and athletics, and your faith? Hanan Ali: After I graduate, I would like to put my degree to good use – not only for a salary, but also for improving the world. The environment is crucial, water is not unlimited, and we should care more for our resources. The Earth is our home, and we do not put enough attention into taking care of it. In my field, there are options for working on research in order to keep track of climate changes and water pollution. I will hopefully also speak out as an advocate for environmental issues in the near future in order to protect what Allah(SWT) gave to us. As for managing multiple things, I have also been by nature, more on the flexible side of multitasking. I have a high level of physical energy and I like to put out most of it through running, so I can focus more on studies. Sometimes it can be hard, because I can be disorganized and fairly forgetful. But the effort and intention is what counts and I’m always striving to be better as a person.